Chris King delivers his unique Gentlemen’s Course, teaching not just the tools of etiquette and decorum but respect through the United for Human Rights materials. Chris King might be the grandson of blues legend B.B. King, he might be a fashion stylist and a former marine, but to define him in one word, Chris King is, above all, a gentleman. When King learned of the statistics of human trafficking in his Florida hometown, the gentleman in him would have none of it. “With human trafficking being Florida’s number one silent crime, we’re rated second in the nation, third as a region, and it’s just bad. It’s a violation of human rights,” King says. “Being a father of two beautiful children, I would truly not like for my children to be victims of such things, so I began to research and learn and was introduced to United for Human Rights (UHR) in the summer of 2015,” he adds. He discovered UHR at the Charity Coalition Luncheon hosted at the Church of Scientology’s Fort Harrison. There he met the Executive Director of United for Human Rights Florida and saw the natural fit of human rights education with his own program called The Gentlemen’s Course. It also includes “Ignorance isn’t bliss, knowledge is power,” and that is the power of teaching human rights—so youth can both protect themselves and be there to defend others. King explains, “I truly feel if people can teach racism and evil, we can teach greatness and humanity. 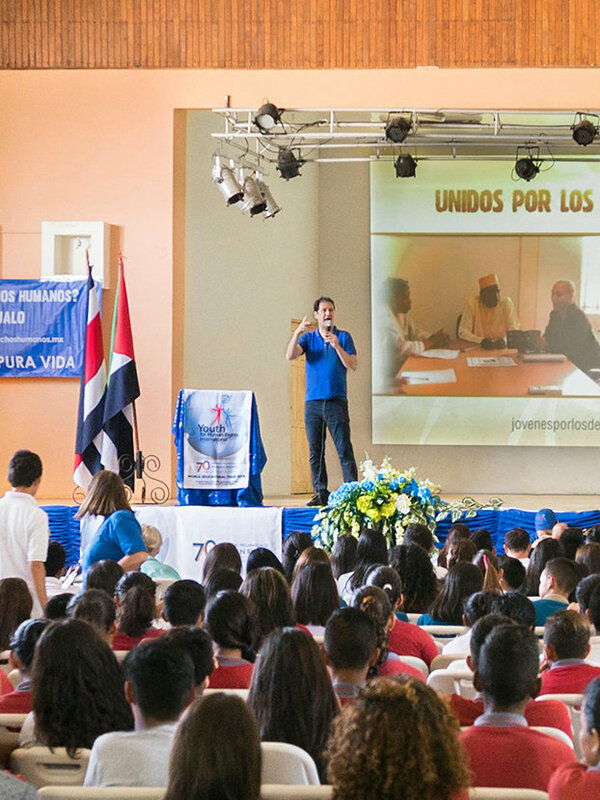 “With incorporating human rights into our curriculum, we are hoping to educate youth with the proper tools to make better decisions as they mature and grow in today’s society,” King says. King holds regular Gentlemen’s Courses for youth in his own facility at the Kings Forest Recreation Center (a space donated by the City of Tampa) as well as in schools and libraries. He also holds a Gentlemen’s Ball twice a year at the Fort Harrison. Here, glamorous ladies and polished gentlemen gather in support of humanitarian groups such as the Florida Coalition Against Human Trafficking and She Helps to Empower, who together are paving the way to dignity and a secure future for Florida youth. 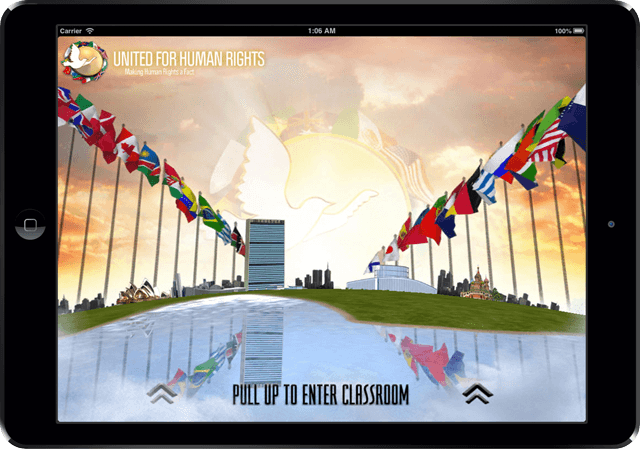 Send us your story of how you use United for Human Rights materials to teach human rights. 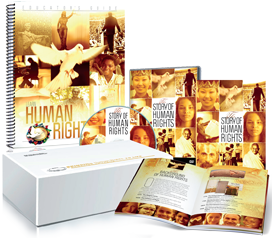 Do you enjoy reading stories of human rights progress around the world? Have you ever wondered if your own story could be told? United for Human Rights is a global network of teachers, professors, lawyers, activists, parents, youth and volunteers all tied together by their common purpose to make human rights a reality. As you are reading this, you are already part of the team. If you have successfully used the United for Human Rights or Youth for Human Rights materials or curriculum and would like to share your challenges and successes with others, we’d like to hear from you. It is possible your story could be featured in a future newsletter. Please send your story and photos. See an example of a brother and sister duo’s story at scientology.tv.